Welcome to the Habitat for Humanity MetroWest/Greater Worcester project team website. 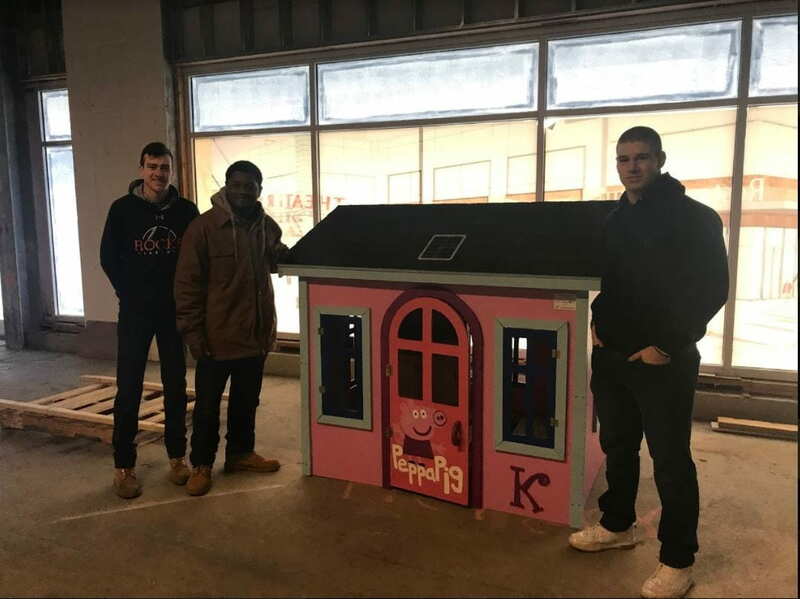 We worked with Habitat for Humanity MetroWest/Greater Worcester affiliate to improve their Operation Playhouse program. We focused on reducing the cost and waste for each playhouse built. Habitat for Humanity International, a non-profit housing organization, was founded in 1976 by Millard and Linda Fuller. 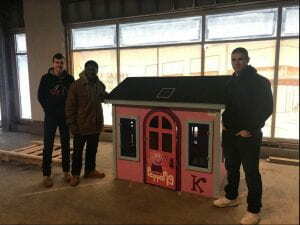 Their mission was to provide housing to families in need in exchange for their service in the building process, regardless of race, ethnicity or religion. Today the organization has built over 800,000 homes, serving over 100,000 families in a single fiscal year. 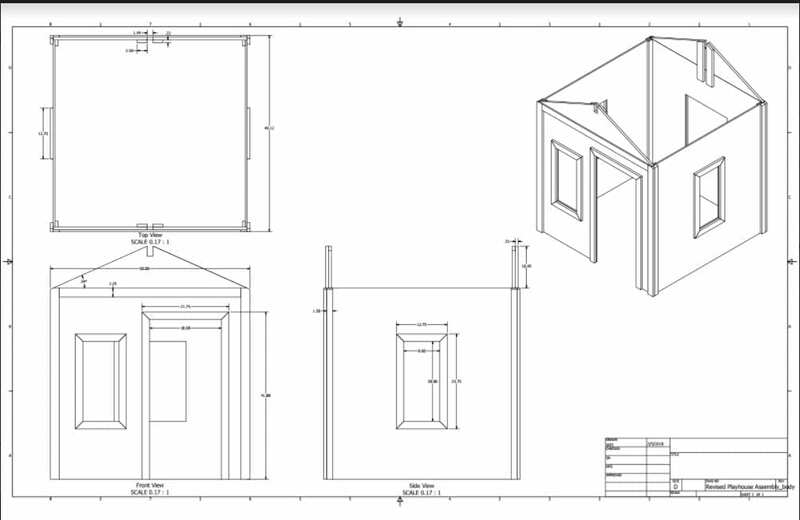 For our project, we created designs for a more cost-effective playhouse out of new materials. 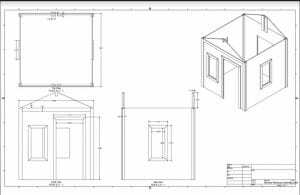 In addition to the re-design of the playhouse, we produced a well-constructed assembly guideline for Habitat for Humanity MetroWest/Greater Worcester(HFHMWGW) for volunteers to utilize in reducing miscommunication. Determine high-quality materials that are less expensive than the ones currently used for construction. Reduce material waste from each build. Identify a standardized construction method to reduce building time and cost.